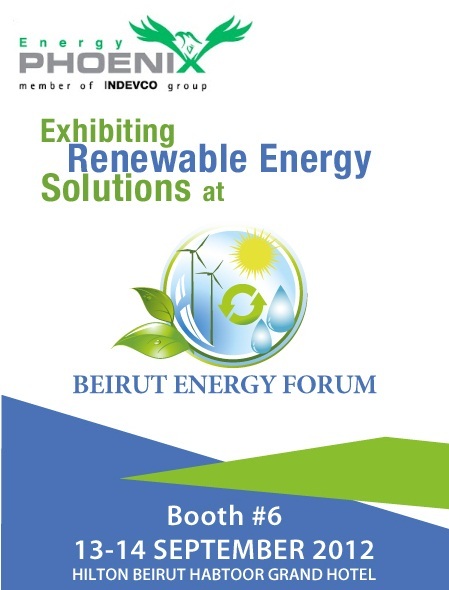 Phoenix Energy, renewable energy solutions supplier, to exhibit solar water heaters and biomass boilers at Beirut Energy Forum 2012, Booth # 6, on 13 and 14 September 2012. At Beirut Energy Forum 2012, Phoenix Energy will interact with decision makers, commercial companies, and professionals in the industry to discuss renewable energy solutions for eco-friendly water and domestic heating. The third edition of the annual event, under the patronage of Minister of Energy and Water, Gebran Bassil, focuses on energy efficiency, renewable energy, and green buildings. Phoenix Energy supplies Solior solar water heaters that utilize mirrors to focus sunlight onto the collector wrapped with a 94% solar absorption layer, thus providing higher efficiency than conventional solar hot water systems. This compact and durable heating system integrates the solar collector and storage tank in one system on the roof and does not require an external tank or a large frame to lift. 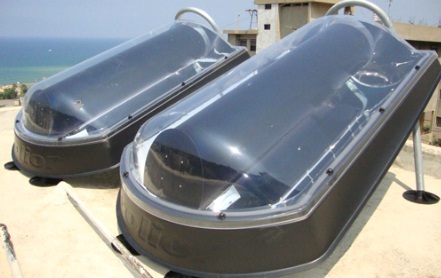 The Solior solar water heating system occupies less space and shading area on the roof than other solar water heaters. Solior solar water heaters offer easy installation on flat or slanted/tiled roofs and virtually no maintenance needed, besides a quick annual functional check-up. readily-available olive husks from local olive oil mills in Lebanon, rather than diesel, thus reducing dependency on fossil fuels. 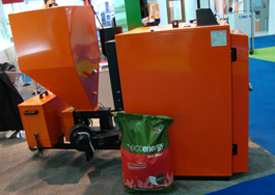 The eco-friendly domestic heating system can be installed for residential, commercial, industrial, and agricultural use. The boiler provides simple installation and an ambient temperature control unit can be integrated to set the desired temperature in the house directly connected to the boiler. Beirut Energy Forum 2012 brings together energy solutions suppliers and producers, independent power and energy producers, architects, urban planners, building technologists, banks and financial institutions, investments firms, research and development institutions, as well as associations and agencies. The event is supported by the United Nations Development Programme (UNDP) European Union, League of Arab States, Order of Engineers and Architects in Beirut. Furthermore, the event will run in partnership with “Le Salon des Energies Renouvelables de Paris”, with the Lebanese Center for Energy Conservation (LCEC) as a strategic partner. Along with the exhibition, the event will include a 2-day conference with key note speakers and professionals from around the world, including educational and research institutions, ministries, nongovernmental organizations and environmental agencies, manufacturers and suppliers of energy resource solution, etc.